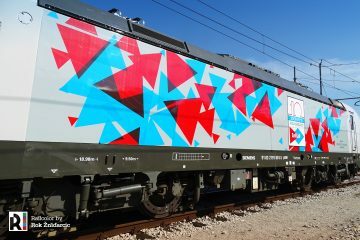 The Swiss federal railways (SBB) have presented their first fully overhauled IC2000 coaches. 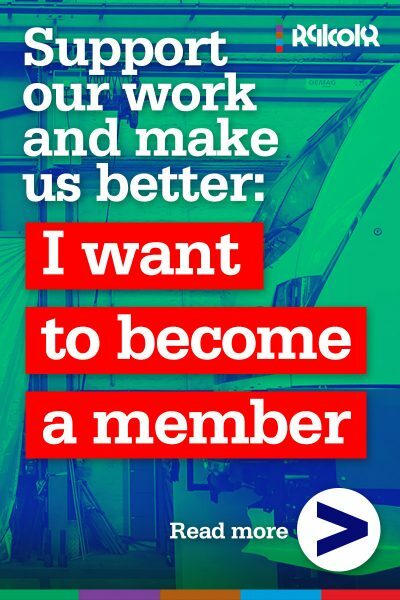 The modernization process was started last summer at the SBB workshop in Olten, the same place where the cars were presented on 31.01.2019. 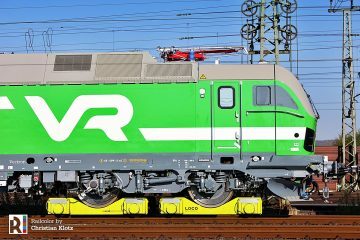 Eventually, all 341 IC 2000 long distance cars will get this upgrade. 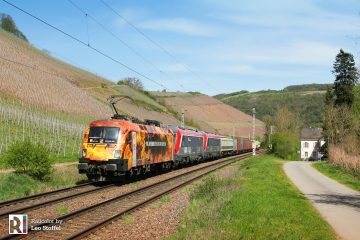 The a renewal of the IC2000 fleet is the biggest modernisation project in the history of SBB’s long-distance transport. 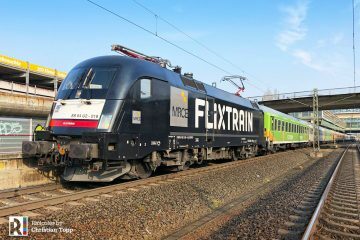 SBB is investing over EUR 263,5 million in the renewal of the 341 double-deck coaches that, together with the Re460 electrics, form the backbone of Swiss long-distance rolling stock at this moment. A repaint in SBB colours, adapted to newer trains designs. Also the IC2000 dining cars are redesigned to appear more bright and contemporary, with new tables and seating. Safety features like passenger intercoms and fire detection systems are being re-installed in the cars. It will take 5 years to complete the project, from 2019 until 2024. 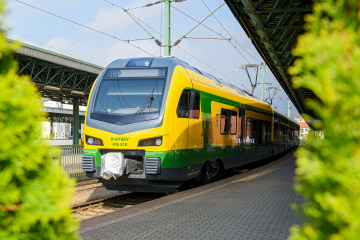 120 SBB employees will be working daily on renewing the coaches. It take eight weeks to complete one car. At the end of this year, series production will commence. 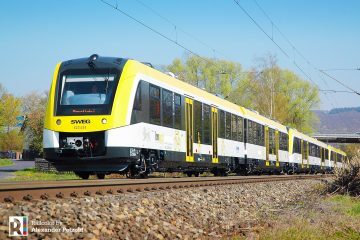 By then, one vehicle will be completed every third working day, with fourteen coaches under construction simultaneously. 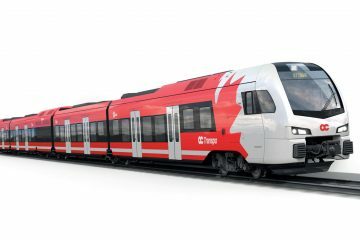 The first completely modernized rake of coaches is expected to enter service in the fall of 2019. In total, over 32,000 new seats are being renewed, 40 kilometres of carpet laid and over 120 tons of paint applied. 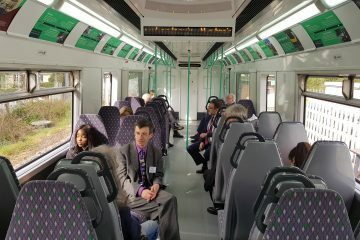 The pictures show a fully modernized First Class coach (doors with yellow striping) and one Second Class car. The paint scheme now features more white, and smaller dark grey area. The windows are visually unified using a black strip.